HomeThe Solar Economy: What’s Being Done To Help It On Its Way? 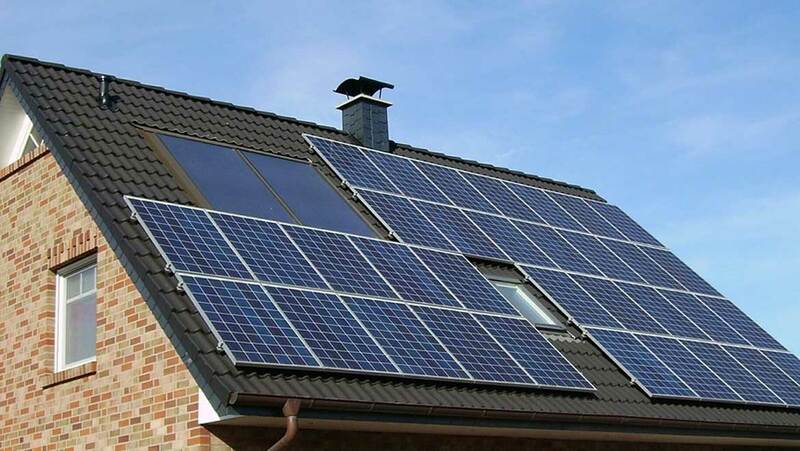 Solar energy involves using highly-specialised and engineered power cells to harvest the energy of sunlight and convert it into electricity that can be used by conventional appliances. Over the last 20 years, this concept has morphed from an unlikely pipe dream into a nearly-standard component of energy use in new buildings. Installations of sunlight-collecting panels in large numbers have become part of the everyday electricity grid in several countries, including China and Spain. However, solar energy still has a long way to go before it matches traditional solutions such as fossil fuels in efficiency, output and uptake. This is due to a number of factors, an example of which is the fact that new companies wishing to offer solar energy services or solutions often struggle to find investors to fund start-up capital or facilities. Despite this, there are some groups that do actively assist organisations working in new or emerging energy trends. An example of these is Powerhouse in California, which supports a number of companies working in the solar energy field with their basic corporate needs. This in turn helps Powerhouse to secure their main goals, which is an increase in the amount of electricity generated by solar power, a role in solar energy research and development and the construction of a network of people, companies and investors who are influential with respect to alternative and ‘intelligent’ energy markets. Powerhouse invests in start-ups with potential in these areas, while offering valuable direction and office space to others. Therefore, this group may end up with a significant stake in an established future solar economy. Powerhouse is located in Oakland, California, which it claims is a propitious location in terms of academic, financial and technological connections. Powerhouse runs an incubator service, which involves access to workstations which may take the form of hydraulic standing desks, if the client prefers, as well as other facilities including meeting rooms and enterprise-grade Wi-Fi. This is made available for three to five weekdays, at costs from $425 to $625 for each worker per month. For this, the start-up has access to Powerhouse’s collaborative work environment, conference rooms, brand-development tools and investment community. Alternatively, slightly more established companies could opt for Powerhouse’s accelerator programme. This involves a direct investment of $10,000 and provides more extensive access to the group’s full range of influencer and investor links. These include executives and leaders in the clean-energy field as well as angel investors. Companies enrolled in this six-month programme also get access to Powerhouse’s exclusive events, free legal advice, a certain amount of free AWS services and the incubator services as outlined above. This all sounds great for a start-up in a field that is still developing and growing. However, it is not that simple. Powerhouse also retains the option to invest more into each ‘accelerator’ company, to the tune of as much as a quarter of a million dollars, converted to the share structure each respective company ends up adopting. In addition, Powerhouse says it does not share Non-Disclosure Agreements; add to this the consideration that the company operates under the group’s online and physical security systems, and it is in a position to exert quite a lot of control over each start-up’s intellectual property, corporate communications and activities. On the other hand, Powerhouse claims it does not share any information, including investment submissions, with bodies outside its selection committee. In addition, any start-up wishing to gain Powerhouse’s support obviously need to move to Oakland or the surrounding area in California. Powerhouse claims to support over 100 beginner entrepreneurs in the clean energy arena at present. These start-ups are reported to have generated nearly $300 million in invested funds and $52 million worth of income, while employing nearly 400 people. They have also contributed to new energy-related innovation in many countries around the world. This seems impressive, but is less so when compared to the capital and revenue profiles of companies in conventional energy. Powerhouse’s activities have led to an additional 242 megawatts in solar-energy electricity generation; which is a drop in the bucket compared to the output associated with traditional fuels. On the other hand, it is an encouraging start for the group’s first four years of operations. No start-up supported by Powerhouse’s accelerator has been bought out or gone public, but many have been successful in attracting funding, as well as developing the worth of their companies. All in all, Powerhouse has created an identity associated with a championing and influencing role of companies in the ‘clean’ solar energy arena. It may be particularly advantageous for U.S. start-ups in this space, as they operate under a government perceived to be hostile to emerging trends in electricity generation. Powerhouse used a number of sources and grants to accumulate its own start-up capital in 2013, one source of which was the late rock and pop music legend Prince, who reportedly invested heavily in clean energy, before his death in 2016. The investment group is one of very few concerned with a transition to reduced-emission fuels and energy sources. Powerhouse, with its links to energy-industry bodies such as GE Ventures, may remain one of the few lifelines for start-ups based in the United States and who want to work with sustainable or renewable energy.